Great for your next themed event! Adjustable waist that fits up to 40"
Make a bold fashion statement! These neon fanny packs are great party favors for any age or work great as a stylish award for carnivals. 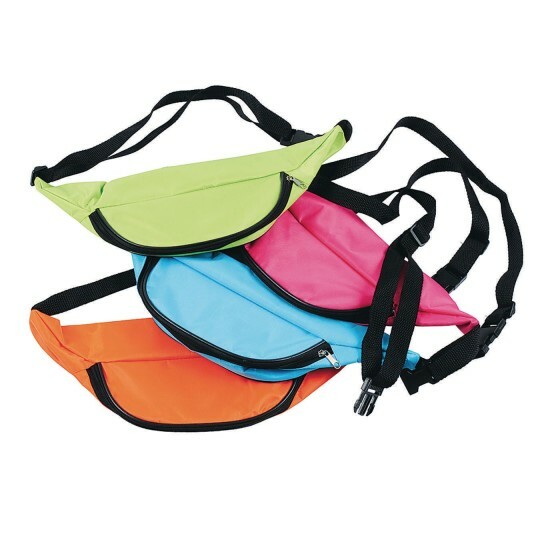 Assorted neon colors with adjustable waist band that fits up to 40”. Each measures 13”L.